Gartner predicted that 80% of all IT/Software projects will being using Agile ! 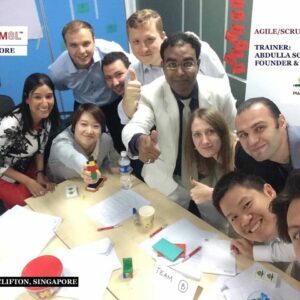 CTO Forum Bangladesh and PMaspire has brought to you an exclusive Two Days Agile Scrum Master Certification workshop in Singapore 2017. Scrum is an iterative and incremental agile software development framework for managing product development. To achieve the level of performance, essential grounding in the Scrum work management framework is necessary. In Scrum, there are 3 roles: the Product Owner, the Team, and the Scrum Master. 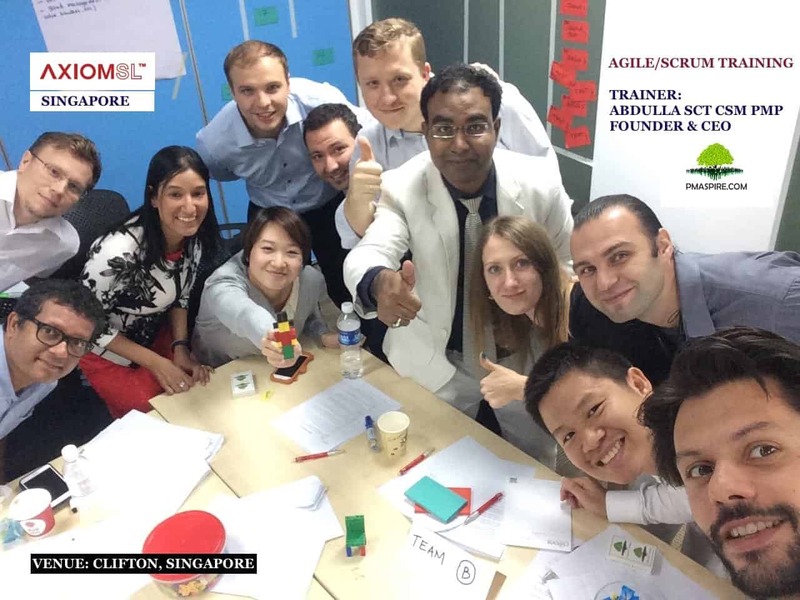 The 2-days Training imparts the knowledge, skills, and tools to successfully implement Scrum. This highly interactive workshop will provide a foundational understanding of the Scrum framework and gives participants hands-on practice applying Scrum in multiple project settings and situations. In addition, after the training you will be given access to online courses and you can schedule SMC exam and get your dream global certification. Professional Scrum Master Certification – Scrum Certification training is focused on Scrum basics and the Scrum Master, Product Owner and Team role. Besides the basic concepts the training includes discussions and group dynamics about the necessary soft skills for a Scrum Master, aspects of technical excellence for the Scrum Team, and company-oriented Scrum implementation aspects. Professional Scrum Master (PSM) professionals are facilitators who ensure that the Scrum Team is provided with an environment conducive to completing the project successfully. The Scrum Master guides, facilitiates, and teaches Scrum practices to everyone involved in the project; clears impediments for the team; and, ensures that Scrum processes are being followed. Professional Scrum Master I – Successful candidates will Sit for the PSM I exam from Scrum.org and will be provided Professional Scrum Master (PSM) credentials. Scrum theory: The three legs of Scrum theory (transparency, inspection and adaptation) are explained. Resultant and fundamental values are examined in details: responsibility, self-organization and self-management, sense of urgency, commitment, technical excellence, rhythm, discipline, respect and courage. Agile Leadership: What is it and why is it important for a Scrum Master? Common models of Leadership. Coaching and facilitation: Coaching definition, coaching scenarios, and facilitation techniques used by Scrum Masters. Scrum Master’s Soft Skills: Helpful hints and techniques for building high performing teams, conflict management, practical techniques for the daily work of a Scrum Master. Your name will be added to the Scrum.org Certification Registry. Abdulla Al Mamun is a Certified Project Management Professional (PMP®) from Project Management Institute Inc USA, ScrumStudy Certified Trainer for Agile, Professional Scrum Master from Scrum.org and Scrum and Certified ScrumMaster® (CSM) from ScrumAlliance Inc (USA). He has conducted trained 1000+ in PMP/Project Management and 500+ in Agile Project Management. He is a Program / Project Manager, Contract/Bid Manager & Negotiator, IT & Business Consultant both in the Private and Public sectors. He has over 13+ years of IT industry experience with multi level of expertise including Software Project management, marketing & sales project management, product development, large scale tender management, channel management and account management. He has multi country working experience including Bangladesh, India, Singapore, Bhutan & Myanmar. He is being recognized for the ability to achieve effective solutions with minimum use of resource, delivery within time-scales and on budget. He is one of the rare individual who has worked in CMMI Level 5 and CMMI Level 3 process driven organization and educated world standards of organization development. He is a registered PMP Trainer for GraspSkill (UK), EMPRESA (SAARC), IPDP (Dhaka), CPD Bangladesh, IBCX Primax and PMASPIRE LIMITED.